Obituary – Haralson, Martha Louise (Morgan) « Perry High School Alumni Association, Inc.
– will enter nurse’s training in Oklahoma City St. Anthony’s school following graduation. She is the daughter Of Mr. and Mrs. W. L. Morgan of Pampa, Tex., and Chickasha. Martha was born in Folsom, W. Va., in 1921. She was Red Hot drill leader, a member of the baseball and basketball teams, and secretary-treasurer of her junior and senior home rooms. Her hobby is collecting photographs. She was a candidate for football queen in her junior year and was in the race for the band crown in her senior year. She has attended Pampa schools, Chickasha schools and Perry High School. 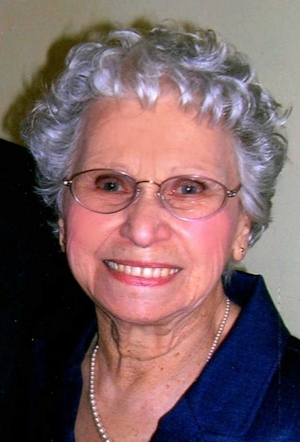 Martha Louise Haralson, 92, of Amarillo, died March 21, 2014. Graveside services will be Monday, March 24, 2014 at 11:00 a.m. in Elmwood Cemetery, Bowie, Texas with Rev. Mike Henson officiating. Amarillo arrangements are by Boxwell Brothers Funeral Directors, 2800 Paramount Blvd. Bowie arrangements are by White Family Funeral Home, 1418 Highway 59 North. Mrs. Haralson was born October 30, 1921, to William and Blye Morgan in Folsom, West Virginia. 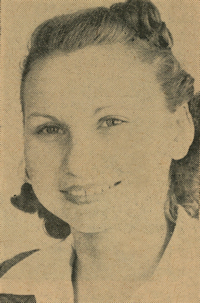 She grew up in Perry, Oklahoma and graduated from Perry High School in 1939. After graduation she moved to Pampa, Texas where she met the love of her life Sharon Haralson. They were married in Hollis, Oklahoma June 15, 1940. She and her husband owned and operated Haralson Oil Company in Pampa for 24 years. After they retired they lived in Crestone, Colorado, Amarillo, Texas, and Bowie, Texas. She was a past member of Business and Professional Women, Desk and Derrick Club in Pampa and First Baptist Church in Bowie. Her family was the joy of her life and she loved to cook big dinners for them and all enjoyed her delicious homemade rolls. She enjoyed staying in close contact with her friends and relatives especially with beautifully written cards and letters. She also liked to crochet and knit. She was preceded in death by her parents, two brothers and her husband of seventy years. Survivors include two sons Terry Haralson and wife Trudy of Bowie, Texas, Randy Haralson and wife Sherrie of Amarillo, Texas, five grandchildren Tobey Cleek and husband Bob of San Antonio, Texas, Tory Haralson of Bowie, Texas, Tally Leonard and husband Bill of Coppell, Texas, Brad Haralson and wife Joni of Wichita, Kansas, Greg Haralson and wife Alison of Sugar Land, Texas , and nine great- grandchildren.